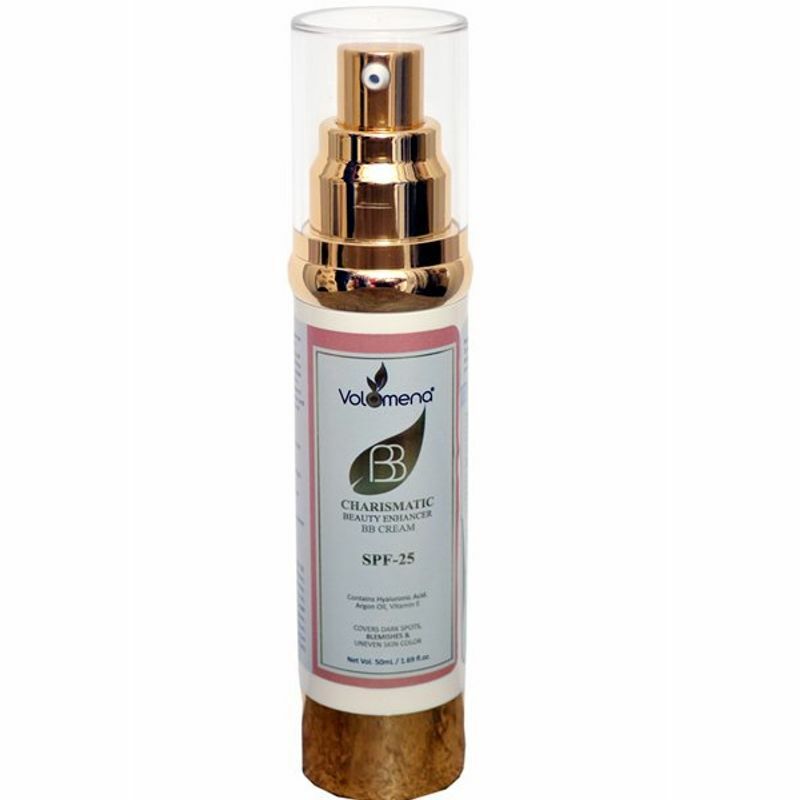 Makeup and Skincare come together to create the perfect match with Volamena Charismatic Beauty Enhancer BB Cream! It provides a natural looking coverage to your skin and hides the blemishes while minimizing the size of pores to give you a smooth look. This multi-benefit beauty balm hydrates, smoothes, hides fine lines, protects and corrects slim with sheer coverage in one effortless step. 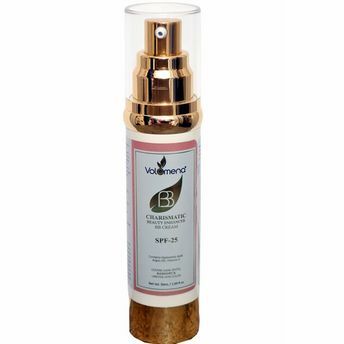 With sunscreen agents SPF 25, it can be used as a foundation or base for makeup. This cream is designed to provide an immediate as well as long-lasting impact on the skin and is infused with Hyaluronic acid and Vitamin E to ensure a natural glow. It contains Hyaluronic acid which reduces wrinkles, Argan oil which has anti-aging, moisturizing and hydrating effect on skin, Vitamin E and Almond oil which repairs skin for long lasting effect to active perfect skin.